George Munkenbeck will discuss his book Civil War Heroes of Long Island. 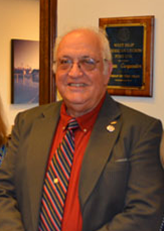 Mr. Munkenbeck is the volunteer, part-time Town Historian of the Town of Islip. Mr. Munkenbeck is a native Long Islander who resides in West Sayville, NY. He earned a BS in Engineering from the United States Coast Guard Academy and an MA in Emergency and Disaster Management from American Public University. A Certified Lay Servant in the United Methodist Church, he is a fourth generation member of New York’s volunteer fire service as an active member of the West Sayville Fire Department, Company H. He is a member of The Fourteenth “Brooklyn” Regiment New York State Militia Society of the New York Civil War History Group, The American Legion, and The Industrial Archeology Society. He is also a member of the United States Naval Institute, the Society of Civil War Surgeons, the Museum of Civil War Medicine, the Sons of Union Veterans of the Civil War, the National Model Railroad Association, and the Firemen’s Association of the State of New York. In addition, he has produced numerous programs, articles and studies on the Bible, local history, fire service training and history as well as railroad history and military history. “We are delighted the Town of Islip will be the beneficiary of George Munkenbeck’s expertise, vast knowledge and experience as a historian. We thank him for volunteering to promote and preserve the Town of Islip’s rich history which extends more than three centuries,” said Islip Town Supervisor Angie Carpenter.